I’m not alone, either. A look at Twitter reveals others are having the same problem. 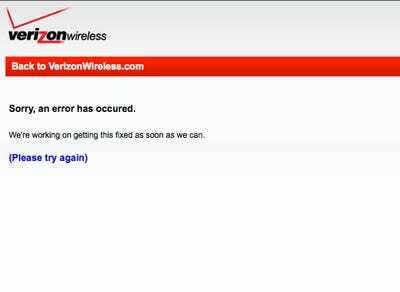 Verizon said it was ready for the crush of users that would come with the iPhone. I guess they were talking about their network, and not their website.